All we need to do is go within to find the answer of love. There is an answer that is so deep that it can bring truth and healing to everyone and to this whole world. We have been searching for it everywhere, except in the only place we could truly find it: within. A Course in Miracles (ACIM) teaches us that peace is our natural state. 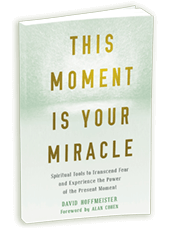 In This Moment Is Your Miracle, David Hoffmeister's new book based on A Course in Miracles, the reason for this is made very clear. We all feel isolated and afraid sometimes, but the truth is, we're never really alone. Indeed, as David points out, it is the deeply ingrained belief that you are separate from everything—that you're on your own, that there is reason to be afraid, and you might not be worthy—that prevents you from living the joyful, miraculous life you long for. 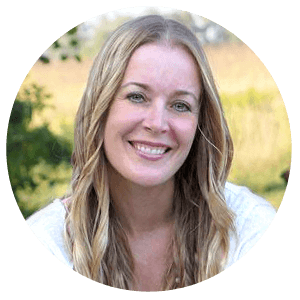 So, how can you begin to untangle the thoughts and feelings that keep you trapped in fear? With this book as your guide, you'll learn how to trust inner guidance and accept life's miracles; to find true freedom and peace of mind. There has never been a better time than now! 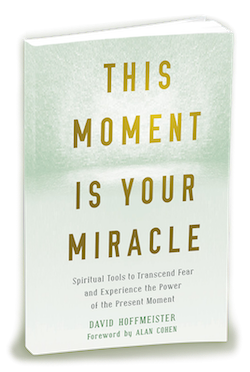 What Other ACIM Book Authors Have to Say about This Moment Is Your Miracle . . .
Do you wonder how to deal with anxiety, fear, loneliness, and depression? This Moment Is Your Miracle addresses the underlying cause of these feelings: the painful yet widespread belief in separation. In its pages, you’ll find spiritual practices and tools to help you cultivate more love, acceptance, and forgiveness in your life. And by gradually peeling back the layers of misperception, you'll inevitably uncover the divine oneness at the heart of reality, through which we are all connected. The best book on A Course in Miracles would be one that addresses and helps us dispel our most painful belief—that we are separate and alone. While most ACIM books offer varying degrees of clarity on the intellectual theory taught in the Course, this one aims at providing the reader with an immediate experience. Through willingness and practical application of its principles, our misperceptions about who we are must give way to reveal the life of joy, oneness, and serenity that is our birthright! To learn more, watch this exciting video trailer we made for the book, which highlights one of the most basic messages from the Course. Once we start to acknowledge the power of our wanting and the power of our prayer, then we can start to go deeper inward, asking, “Hmmm… What is it really that I want? What is my priority?” As we go deeper inward with that, we start to realize that we really want to use the power of our wanting and direct it toward peace of mind. What trinkets of the world could you possibly want if you had the option of choosing peace of mind? Everlasting peace! Endorsements from Authors of Other Books on A Course in Miracles . . .
Free Download of Neda Boin´s song "God Is the Love in Which I Forgive"
*This offer applies when ordering paperback copies (not eBooks) from US retailers, including the ones listed below. For orders of 50 copies or more, please contact us at books@davidhoffmeister.com to learn about custom gift offers. Step 2: Once your order is complete, click here and fill out this form. Step 3: Check your inbox for an email from us with instructions on how to receive your ACIM related book gifts.